Fed contracts for wild horse and burro control; who’s paying who for what? Photograph by (c) Mark Terrell. Well, here is some interesting reading, my fellow Americans. How is the federal government spending our tax dollars to “control” the wild and burro population? As I read through this government report, my mind is awash with questions. I will only mention a few to give you the chance to find a few of your own. Why is the United States Department of Agriculture (Agriculture) spending any of its budget on the collection and control of our federally protected wild horses and burros? What are they paying contractors such as MT Taylor Mustangs, Horse Trappers LLC and Desert Hill Construction to do? I am sure there are simple answers. Then there is Patricia Barlow-Irick who is paid ostensibly to gentle Mustangs. Okay, but why is she being paid by the USDA? What about these entries? The Department of Homeland Security paying Jones and Co PC and AGSI LLC to do exactly what? They appear to be data management and technical services companies. Hmmmm. Every entry has the same description: “Natural resources and conservation services”. Well, that explains everything … ! My particular favorite among these federal contractors (she says with tongue firmly in cheek) is the Drummond Land & Cattle Company, who are regularly raking in a cool million or two of our taxpayer dollars to help the Interior Dept (and friends) with their duties. Who are they? A legendary four generational cattle ranching family. What do they do? Stockpile our wild horses for us at the bargain basement price of $1.35 to $1.50 per head, per day, according to an article by Horseback Magazine, November, 2010. “For these 3400 horses, that equals to $4590-$5100 per day or $1,675,3500-$1,861,500 per year”, they report in the same article. In case you are wondering, “The Pioneer Woman” Ree Drummond is one of those Drummonds. She is married to Ladd Drummond, and can see our wild horses through her window. Which brings me to this. I love the way Rechelle Unplugged breaks down for us the whole “ranchers getting our wild horses taken off public lands to graze their cattle then stockpiling said mustangs at our expense on their private lands” business model. Cattle ranchers in Wyoming, Utah, Montana, Colorado, California etc want to use public land to graze their cows. This public land is supposed to belong to you, me and the wild horses, but it really seems to belong to private interests with powerful lobbies in Washington. Unfortunately the cattle must compete for resources on the public lands with the wild horses who are protected by law and cannot be killed. According to the BLM there aren’t enough resources on the land to support both the horses and the cattle, so the government opts to move the wild horses to large land barons in primarily Oklahoma and Kansas such as our hero of the haunches, Ladd Drummond. The government then charges ranchers who use public lands $1.35 per cow/calf per month. So the government pays Ladd Drummond THIRTY TIMES what it charges ranchers in the big western states to graze their cattle on public land. Cattle ranchers in the west get cheap subsidized grazing land on which to grow their cows and Ladd Drummond gets rich off the taxpayers backs! It’s a total win/win! Yay! Except taking care of horses is a lot easier than taking care of cows! You never have to turn a horse into a hamburger patty. 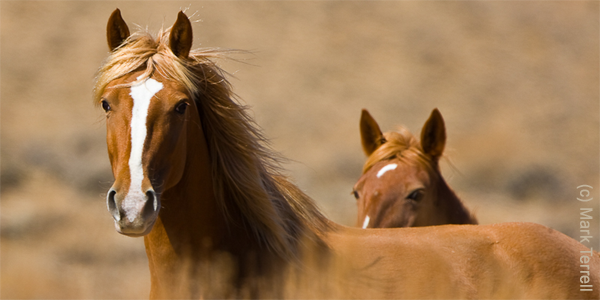 — Link to Report: Federal Contracts for Wildhorse/Burro Control Services, FY 2011-2012. Note: If traffic is heavy on this site, the link may be slow to open, or you may be directed to try again later. What is the price per head per day paid to the private landowners to long term board mustangs in OK? And how many mustangs are boarded in ok? This is a shame and a disgrace and should be rectified, too much favoritism for public lands ranchers who are causing so much ecological disharmony! I checked the AG list of ranchers that was paid with our tax dollars and this goes back to 1999. I looks like the ranchers have to apply for the subsidy but there are only a few that continually comes out ahead of the others getting over a million dollars each time they apply. This has been going on for years. The AG department has always paid farmers not to plant certain crops to drive the consumer price up if the crops were in short supply. This is also the way that horse meat ended up in packages calling it grass fed wild horse meat from the US in EU supper markets. It’s been a scam from the beginning pulled on the taxpayer because they knew that nobody out here in the real world would ever know anything about how our hard earned money is spent. “Extreme Subsidizing” of public lands ranching “lifestyle” – who produce less than 1% of the nation’s beef. And we wonder why our country is falling apart at the seams. As I’ve said for years there needs to be a Congressional investigation of DOI/BLM and also the USDA. The American public are being robbed of their tax dollars and their wild horses/burros and peredators and our public lands are being destroyed. CONTROLL< The only ones who need to be controled are the ones , who have nothing but greed in their Hearts, not the Horses or our wild ones , they need no control………Only the fools that condemn them……… need to be controled !! !